An improved, early-maturing sorghum variety is helping farmers in Burkina Faso attain nutritional and financial security. Simba is a village located about 170 km east of Ouagadougou, Burkina Faso. 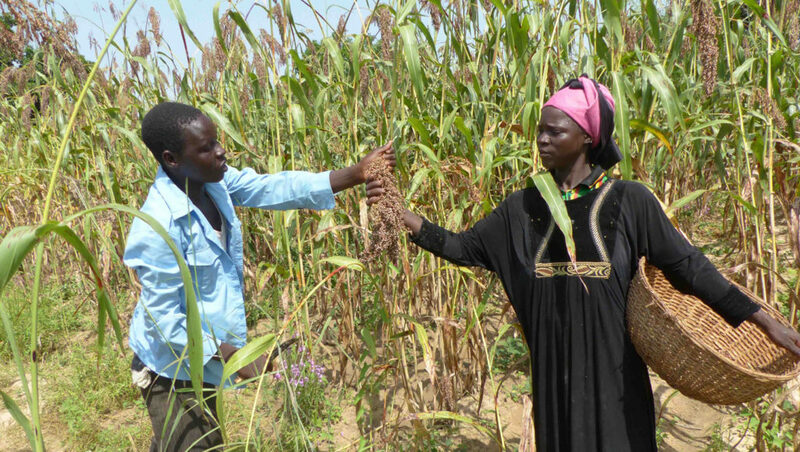 On 3 October 2018, Mr Kossima Kaboré was the first producer in the village to harvest the improved sorghum variety named Jakunbe. 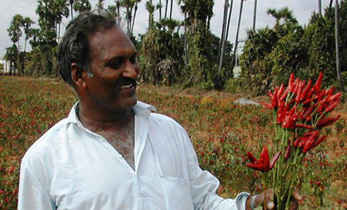 This former gold miner rejoices on his discovery: “I sowed at the end of June and I have already harvested. 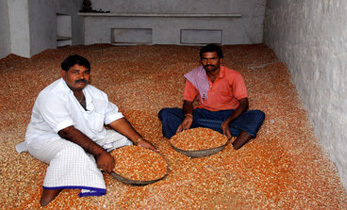 My family will have enough to eat this year,” he says. Back from the gold mining site without a penny, Kossima and his family faced poverty and hunger until the day he attended a field day in a participatory varietal selection trial organized by the Departmental Union of Cereal Producers (UDPC), a farmers’ cooperative. “One look at the grains of Jakunbe, and I immediately made my choice,” he recalls. “Participatory varietal selection trials are regularly organized for farmers in the various agro-ecological zones to select the best varieties of sorghum resistant to climate change and drought,” says Mr Denis Yameogo, President of UDPC. Mr Hamidou Kaboré, a young farmer from Simba, shares the same view. He is also on his first try of improved varieties. 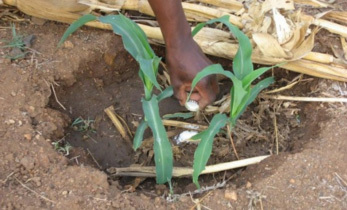 “I planted 1.5 ha of CSM 63 E (aka Jakunbe) and ICSV 1049 varieties. 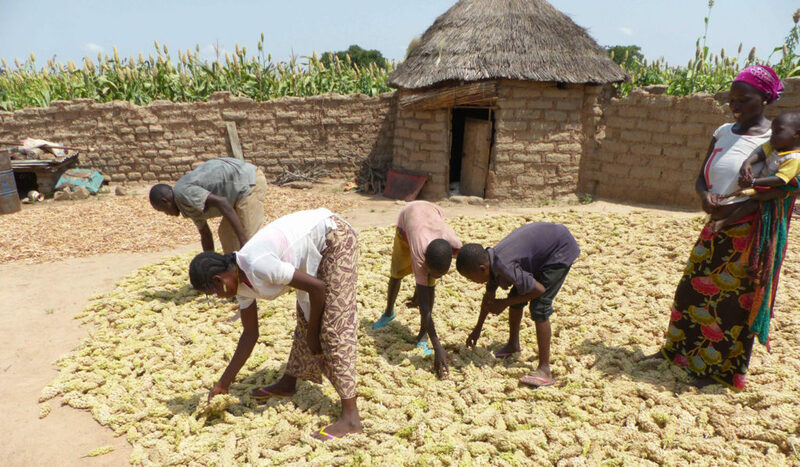 In the local language Bambara, Jakunbe means ‘the variety that is resistant to drought’. This is the first time I am seeing my field with so much well-filled grain pod.” Mr Hamidou explained that the local varieties he was using earlier were late-maturing ones that took about 110 days to harvest, while the improved varieties, Jakunbe and ICSV 1049, mature in just 75 days. In the 2018 cropping season, Mr Hamidou, Mr Kossima and all 1,200 members of the UDPC Union planted 600 ha using improved varieties. 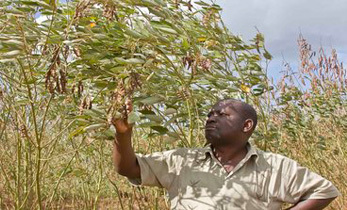 “All households in Simba and neighboring villages have sown at least two improved varieties,” says Mr Yameogo. UDPC is made of about 60 groups. The participatory varietal trials are generally carried out in the fields of a producer. “This time around, the test was organized in the village of Simba. Next time, it will be the village of Tempella, and so on. That way, more and more people will be covered,” Mr Yameogo concludes. Mr Yameogo is well versed with the participatory varietal trials. 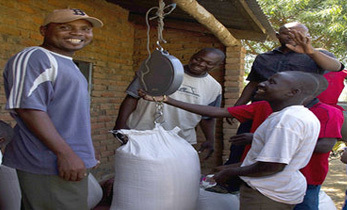 During field visits, he often helped out as facilitator on behalf of the ‘Association Minim Song Panga’ (AMSP), one of the partners in charge of scaling out the activities of the HOPE II Project in Burkina Faso. 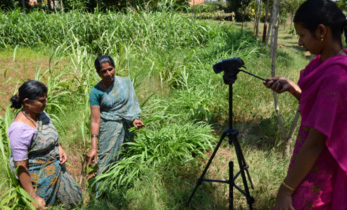 To know more about ICRISAT’s work in Burkina Faso, click here.